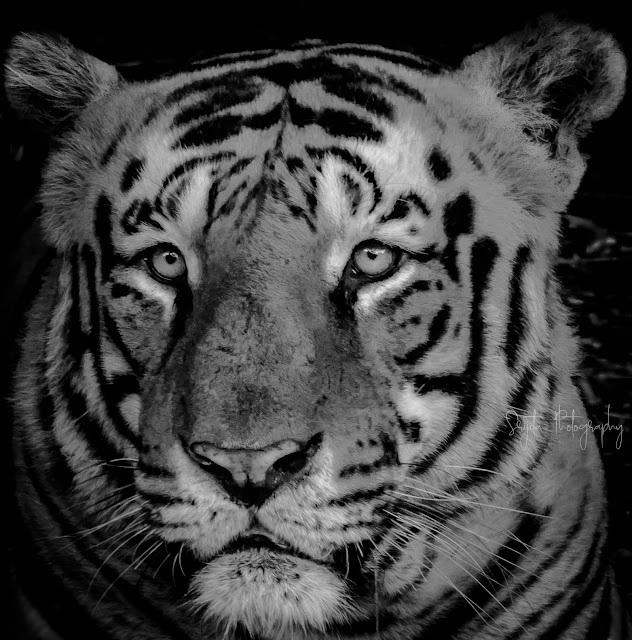 Royal Bengal tiger, also known as Prince of the jungle and are also the National animal of India. These tigers are among one of the biggest cat variety alive of the earth. According to 2011 census, there are almost 2500 individual tigers alive in India, thus they are listed as endangered species. This photo is clicked in the forest of Bannerghatta National reserve in Karnataka India. Here the adult male tiger is resting by the jungle trackside after its meal and ideally watching the visitors coming in safari buses.